SINGAPORE - (THE NEW PAPER) If you've travelled or lived in the US or Europe, you'll know that Chinese restaurants there seldom turn out to be good. So when I was told Lokkee - the last offering from the TungLok group - was inspired by Chinese takeout food from these places, I thought they were loco. Why would you want to serve bad food on purpose? Lokkee is a kitschy faux Oriental place, with tongue firmly in cheek. Everything in the restaurant has an element of fun. Look closely at their paintings and statues. Ask for wet wipes. You'll know what I mean. Overall, the food is better than expected. The flavours are not as crazy as the decor implies but there is an element of surprise. Be prepared to be amused. 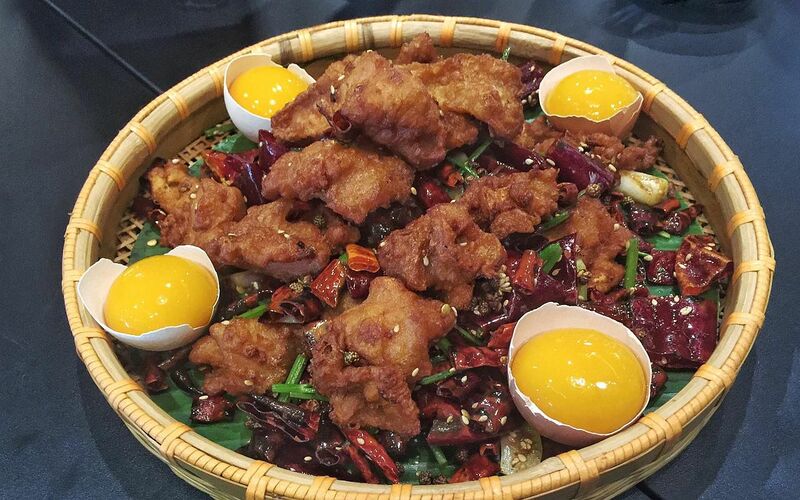 I love the Firecracker Chicken Nest ($24). The five spice-coated chicken pieces are crispy but retain its juiciness. When I returned unannounced, it was even better. The Mapo Tofu ($16) is a must-try. 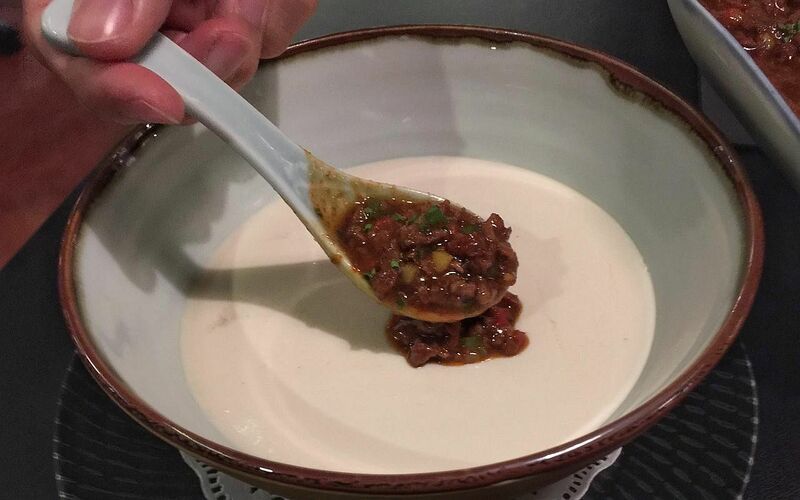 The beancurd is silky and smooth, almost creamy. The hit of spices from the sauce is heavy but effective. 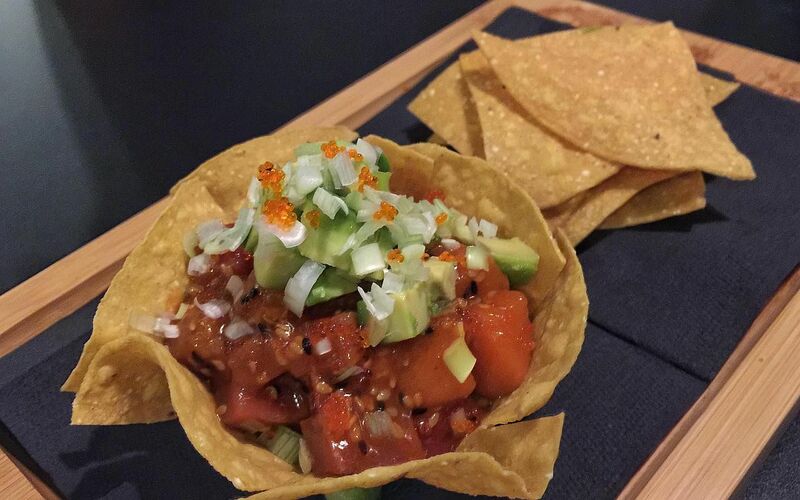 Poke salad ($16) has cubed tuna, salmon and avocado mixed with an addictive spicy sauce. It's refreshing too. 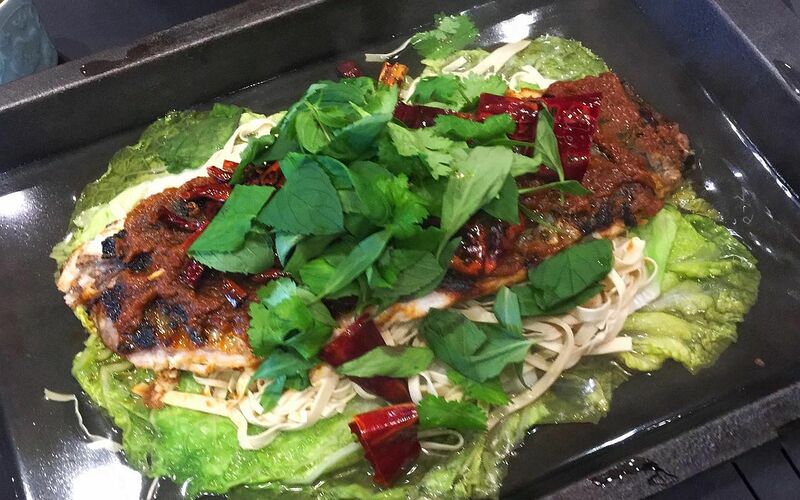 The Sichuan Mala Grilled Fish ($58) is the most expensive item on the menu but it is worth it. The heat builds ceaselessly. Expect your lips to be seared. 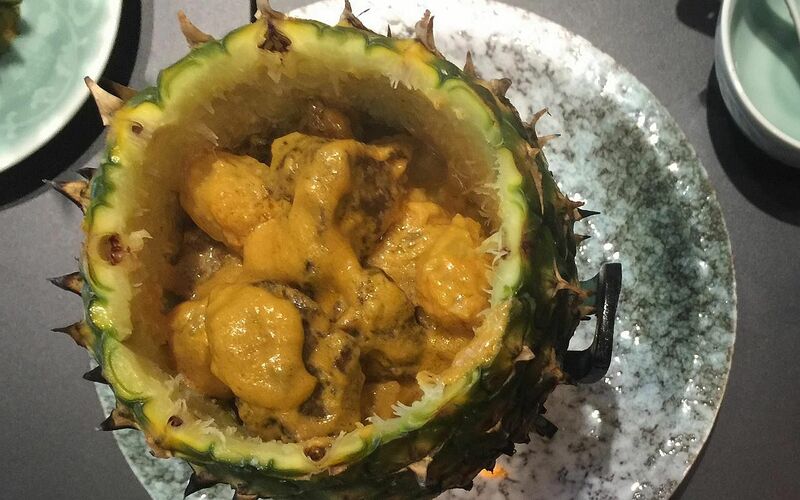 The gimmicky Awesome Flaming Pineapple Beef ($28) arrives on fire but that's the only thing that's exciting about the dish. The coconut braised beef came with a dressing that had a bizarre and unpleasant taste. This article was first published on September 9, 2015.